There are a number of reasons why some professional photographers and the odd enthusiast sell all their current camera gear and move to a different system. But chiefly it’s down to the lure of new camera technology, and usually a new camera body that offers the new benchmark in picture quality or shooting performance. It may seem from reading the insights below that there are more photographers switching from Canon to Nikon, but this isn’t the case: for every photographer swapping to the Nikon system, you can find another jumping from Nikon to Canon. But here’s why they may have got it wrong. Camera manufacturers leapfrog each other with each new generation of cameras. 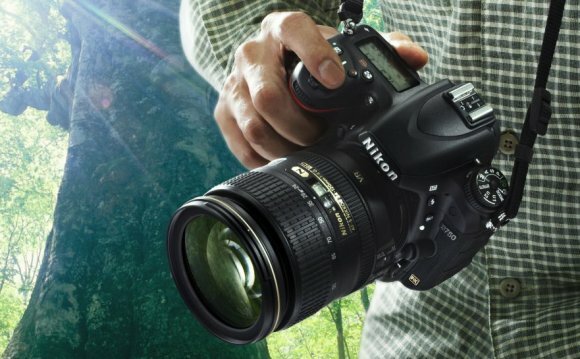 There’s no real winner in the Canon vs Nikon war, as both make excellent camera systems. A feature that a rival DSLR offers today will appear in some form in the other camera system tomorrow. Canon used to rule the roost as far as autofocus was concerned, particularly in its EOS 1 range. Indeed, that’s a reason one of the pros below made the switch to Canon. But Nikon soon caught up. But with the launch of the Nikon D3, Nikon redefined the expectations of high ISO and low light performance from a digital SLR. Ultimately it’s the system that matters. Camera bodies will come and go, but lenses will last for years. If you’re heavily invested in one system in terms of lenses and accessories then you’ll take a financial hit dumping all that in favour of another. And while you find some photographers being delighted with the performance of a new camera system, you’ll find an equal number returning to their original camera system after a brief stint with another. The Photoshop guru explained the reasons for his switch from Nikon to Canon in 2013 via a video – and immediately sparked a debate. In short, it was a mixture of Canon’s camera handling and customisation that sparked the change in camera systems. Nature photographer Art Wolfe used to shoot Nikon in the days before digital, but then a major event made him reconsider his options. “Some years ago, when I was shooting Nikon, all of my equipment was stolen out of a car (and even more heartbreaking a bunch of undeveloped film as well), ” he confirms in a blog post comment. As you might expect, the bag of this top-drawer wildlife and landscape pro contains some peachy gear: “ a Canon 5D Mark III or a Canon 1DX, and has in recent years has generally stuck with two lenses: a Canon 16-35mm f/2.8 L II and the 70-200mm f/2.8 II L IS. British professional landscape photographer Adam didn’t announce he was changing system with a fanfare and all the internet trimmings. The Nikon D800 was a game changer for Nikon – and it still is. Many camera manufacturers are still playing catchup in the affordable high-res full-frame DSLR market.